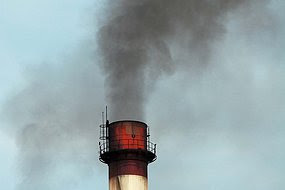 Professor David Karoly says Professor Garnaut's proposed emissions cut of 10 per cent by 2020 is not enough to minimise the dangerous effects of climate change. He says Australia needs to set a target of at least 20 per cent by 2020. Professor Karoly is an author with the United Nations climate change panel. He said that the Government would damage the chances of a global agreement on emissions cuts if it adopted Professor Garnaut's target. "It would probably send a message that Australia does not want to seriously consider or address the fact that it has the highest greenhouse gas emissions in the world, and will probably send a message that Australia is not serious on addressing greenhouse climate change," he said.